I'm making another batch of Whoopie Pies today. 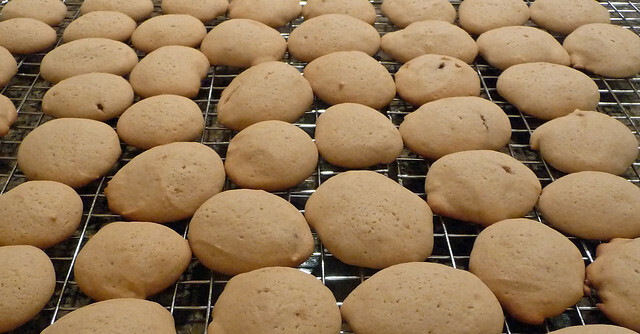 I'm using the vanilla recipe, and I had this vision of, essentially, mini Whoopie Pies. They look like fluffy 'Nilla Wafers. So perfect! Icing will be leftover Honey Buttercream, Maple Buttercream, and then some Marshmellow Buttercream if I need more. This entry was originally posted at http://merhawk.dreamwidth.org/492077.html. Please comment there. If you don't have a DW account, you can use OpenID, or ask me for an invite code (if I know you/know of you). I might have extras.